With a range of handcrafted vintage products tailored to your exact requirements and preferences, Perrin & Rowe's exquisite bathrooms possess a nostalgic appeal that is the perfect match to their authentically designed brassware ranges. We are delighted to be able to supply this British made brand of high-end showers, including products much in demand from some of the most prestigious properties in the world. 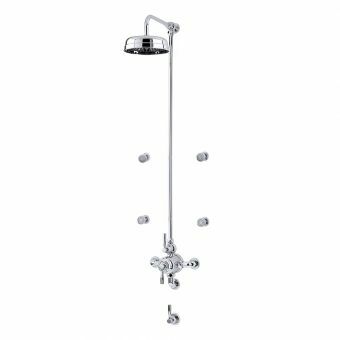 Free DeliveryPerrin and Rowe Contemporary Shower Set Two£1774.30 inc.VATRRP: £2217.86 (Save 20%)Shower set with modern overhead design, petite overhead shower rose and useful handshower. 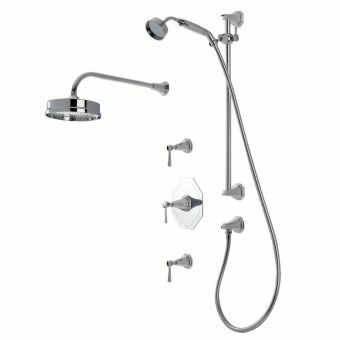 Free DeliveryPerrin and Rowe Contemporary Shower Set Seven, with Body Jets£1778.65 inc.VATRRP: £2223.31 (Save 20%)Traditional style shower kit, with modern envigorating body jets for a truly refreshing shower. 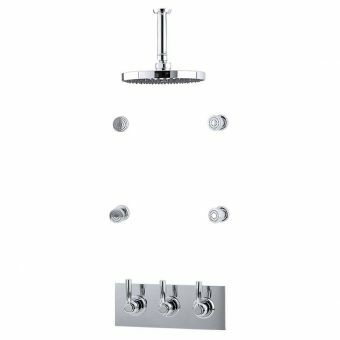 Free DeliveryPerrin and Rowe Contemporary Concealed Shower Set Three£1803.86 inc.VATRRP: £2254.82 (Save 20%)Flexible showering arrangement with two shower heads in a contemporary yet classic style with a large overhead. Free DeliveryPerrin & Rowe Contemporary Thermostatic Shower Mixer with One Shut-off Valve£753.22 inc.VATRRP: £941.52 (Save 20%)Single outlet controls one shower head or a bath filler. High-quality polished mirror-finish chrome plating. 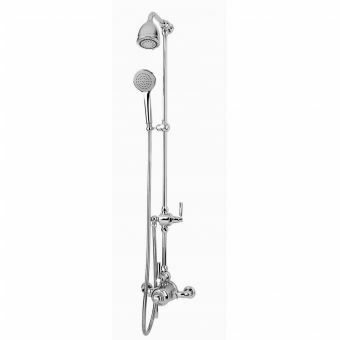 Free DeliveryPerrin & Rowe Contemporary Thermostatic Shower Mixer with Two Shut-off Valves£918.82 inc.VATRRP: £1148.52 (Save 20%)3 lever valve with back plate, can control 2 outlets, for example, an overhead and a handheld shower mixer. Free DeliveryPerrin and Rowe Contemporary Concealed Shower Set Four£1730.30 inc.VATRRP: £2162.88 (Save 20%)Two head shower kit offering a compact but strong overhead rose or a handheld spray. 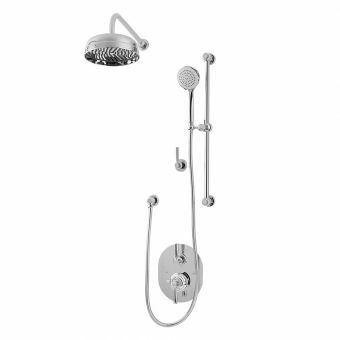 Free DeliveryPerrin & Rowe Deco Shower Set Two£2458.15 inc.VATRRP: £3072.70 (Save 20%)Full shower set combining an overhead shower with an added handset, complete shower kit including the valve. 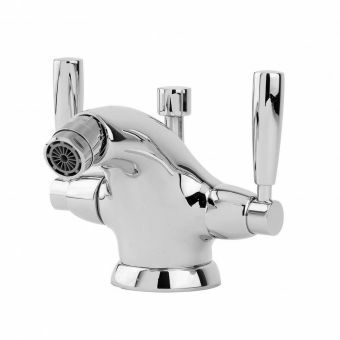 There can be no better way of finishing off your new luxury bathroom than fitting a set of high-quality taps and mixers from the world-renowned Perrin and Rowe. Free DeliveryPerrin & Rowe Traditional Four Hole Bath Set with Low Profile SpoutFrom £741.12 inc.VATRRP: £926.40 (Save 20%)Choose from Lever style or Crosshead tap heads. Traditional styling with hot and cold controls and a spout. 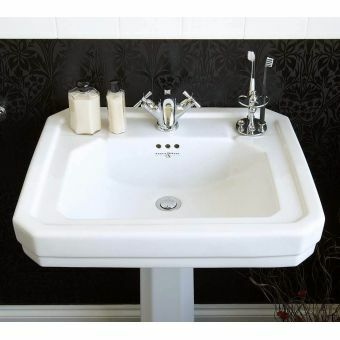 Free DeliveryPerrin and Rowe Deco 3 Hole Deck Mounted Bath FillerFrom £902.69 inc.VATRRP: £1128.36 (Save 20%)Choose your handle shape: Lever or Crosshead design. Features super-thick, glossy chrome plating. 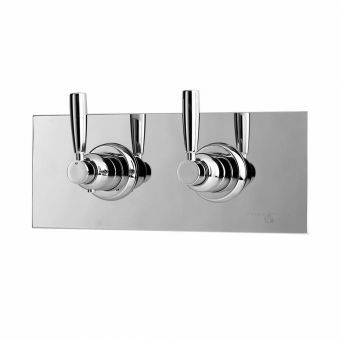 Free DeliveryPerrin & Rowe Deco 3 Hole Wall-mounted Bath FillerFrom £753.22 inc.VATRRP: £941.52 (Save 20%)Choose your chrome handle type: Lever or Crosshead design. Lever being a little more slender and classical. Free DeliveryPerrin and Rowe Contemporary 3 Hole Basin Set with Back Plate and Lever Handles£643.68 inc.VATRRP: £804.60 (Save 20%)Features easy-grip lever handles in chrome, the back plate is also finished in a lasting polished chrome coating. 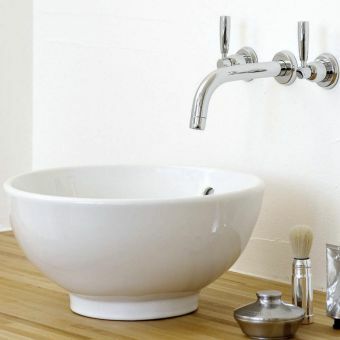 Perrin and Rowe Contemporary 3 Hole Basin Set with Pop up WasteFrom £444.00 inc.VATRRP: £555.00 (Save 20%)Choice of lever or crosshead handles in chrome, a more modern, classical contemporary style, very versatile. Free DeliveryPerrin & Rowe Contemporary 3 Hole Wall Mounted Basin Set with Lever Handles£440.83 inc.VATRRP: £551.04 (Save 20%)Superior mirror finish chrome plating on brass, a lasting polished coating that is easy to clean and maintain. Perrin & Rowe Contemporary Monobloc Bidet Mixer with Pop-up WasteFrom £384.48 inc.VATRRP: £480.60 (Save 20%)Features adjustable aerator, choose from a Crosshead style handle or a classic lever shape control. One of the key components in the bathroom, the humble basin has been elevated to a higher level by the skilled craftsmen at Perrin & Rowe. Made by hand, they will last a lifetime due to their excellent build quality. 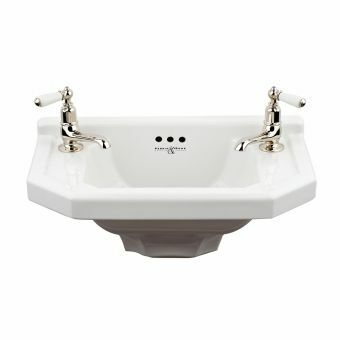 Perrin & Rowe Edwardian Powder Room BasinFrom £292.80 inc.VATRRP: £366.00 (Save 20%)Ideal for a smaller bathroom or cloakroom, this petite characterful basin is only 400mm in width. Perrin and Rowe Deco Cloakroom BasinFrom £343.20 inc.VATRRP: £429.00 (Save 20%)Traditional British period style basin, 523mm wide. 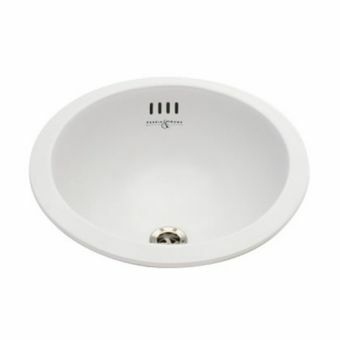 Choose from 1 or 2 tap hole options to suit a multitude of taps. 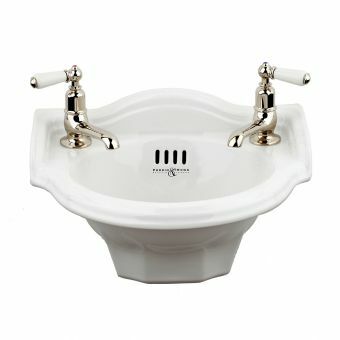 Perrin & Rowe Victorian Bathroom BasinFrom £484.32 inc.VATRRP: £605.40 (Save 20%)Options for 1, 2 or 3 tap holes allowing a variety of brassware basin tap options on this traditional basin. 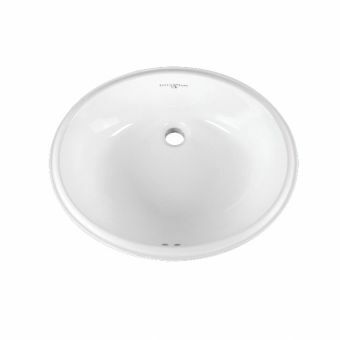 Perrin and Rowe Deco Bathroom BasinFrom £453.31 inc.VATRRP: £566.64 (Save 20%)630mm wide basin with the options of 1, 2 or 3 tap holes. An option for a pedestal or a washstand. Perrin & Rowe Surface Mounted/Undermounted Vanity Bowl£330.05 inc.VATRRP: £412.56 (Save 20%)438mm diameter bowl which can be either undermounted or set into a countertop offering lots of design choice. Perrin and Rowe Edwardian Bathroom BasinFrom £453.31 inc.VATRRP: £566.64 (Save 20%)Edwardian style basin, 630mm in width with a depth of 488mm. Options of 1, 2 or 3 tap holes for a variety of taps. 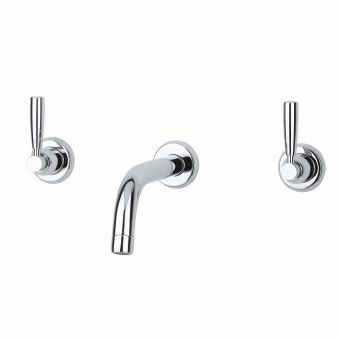 Perrin and Rowe Bathroom Accessories are of the utmost quality, offered here in a standard chrome finish with special colour finishes available on request. Choose from Traditional, Deco or Contemporary styles. Free DeliveryPerrin and Rowe Deco Toilet Roll Holder£158.98 inc.VATRRP: £198.72 (Save 20%)Chrome finish, with an Art-Deco inspired geometric fluted base, useful accessory with a tasteful decorative shape. 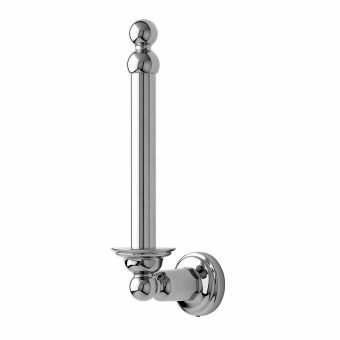 Free DeliveryPerrin and Rowe Traditional Wall Mounted Toilet Roll Holder£120.00 inc.VATRRP: £150.00 (Save 20%)High-quality chrome on brass, easy to clean and maintain, traditional styling with ball joints and a polished finish. Free DeliveryPerrin and Rowe Contemporary Corner Basket£149.09 inc.VATRRP: £186.36 (Save 20%)A very useful corner storage accessory for the bathroom, large size 196mm on the corners, quality brass bodied. Free DeliveryPerrin and Rowe Traditional Wall Mounted Soap Tray£109.44 inc.VATRRP: £136.80 (Save 20%)Chrome, classic design with a ceramic dish for soap storage, quality materials throughout with solid build quality. 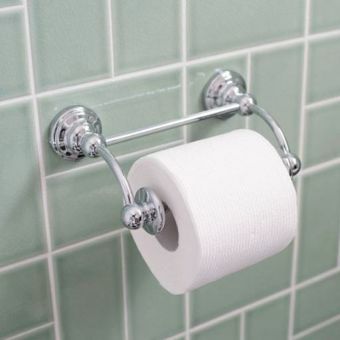 Free DeliveryPerrin and Rowe Traditional Wall Mounted Spare Toilet Roll Holder£87.74 inc.VATRRP: £109.68 (Save 20%)Top quality chrome finish, store additional toilet rolls stylishly with this traditional ball joint style holder. Offering a comprehensive range of brass and chinaware solutions, Perrin & Rowe create and hand finish the very best in quality and finishes. 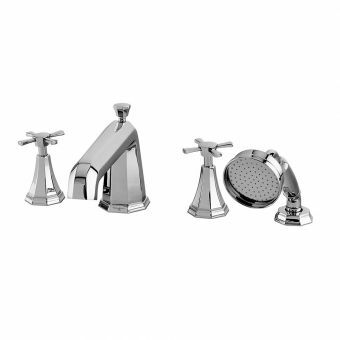 Made exclusively in the UK, they provide your home with the very best in bathroom taps, basins and toilets. Perrin and Rowe Deco Close Coupled ToiletFrom £417.41 inc.VATRRP: £521.76 (Save 20%)Beautiful Art Deco styled pan with matching cistern and handle options. 4 seat colours to choose from. 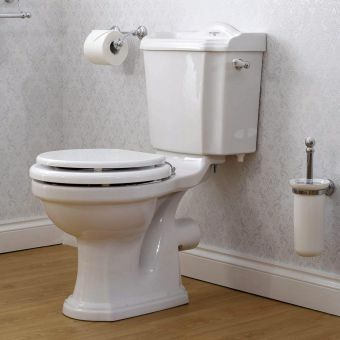 Perrin and Rowe Edwardian Close Coupled ToiletFrom £437.95 inc.VATRRP: £547.44 (Save 20%)Traditional style the UK made toilet pan with cistern, lever and seat options of 4 distinctive colours. 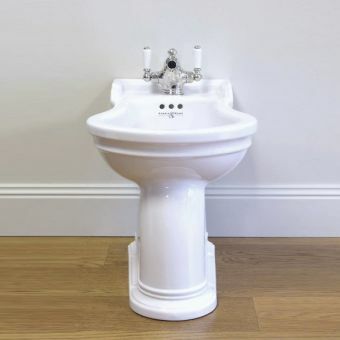 Perrin and Rowe Victorian Floor Standing BidetFrom £323.71 inc.VATRRP: £404.64 (Save 20%)One or three tap hole versions available to suit various style bidet taps, traditional fluted base design. 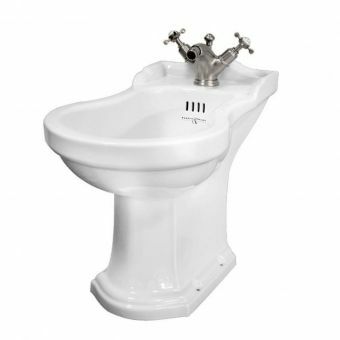 Perrin & Rowe Edwardian Bidet£383.81 inc.VATRRP: £479.76 (Save 20%)Edwardian styled bidet, perfectly paired with other pieces from the Perrin & Rowe Edwardian range. 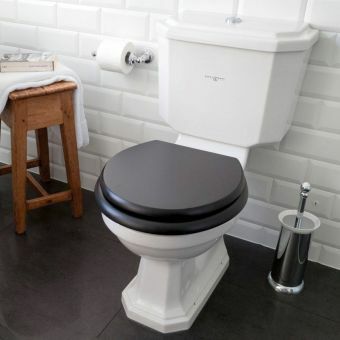 Perrin & Rowe Victorian Back to Wall ToiletFrom £490.94 inc.VATRRP: £613.68 (Save 20%)A modern concept with a traditional looking pan offers the best of both worlds without looking mismatched. Formed in 1978, Perrin & Rowe have achieved a sustained level of growth and innovation that just isn’t common with British companies in the same industry. Standing for quality and producing acclaimed brands, Perrin and Rowe are also trailblazers in water filtration and brassware design, with their products, as well as those under the Triflow brand, internationally recognised. The bathroom might not be the first place visitors go when they enter your home, but a beautiful bathroom with exquisite fittings is just what you need to impress guests. That's why investing in your bathroom is something that any discerning householder should do. From ensuring that the materials used in your fixtures are high quality and durable to indulging in fittings like bidets which add a touch of pure luxury to your bathroom, there's no end of choice. Perrin & Rowe have a very rich history, with ground-breaking product releases and design partnerships providing customers with an ever-changing, but consistently excellent product range. 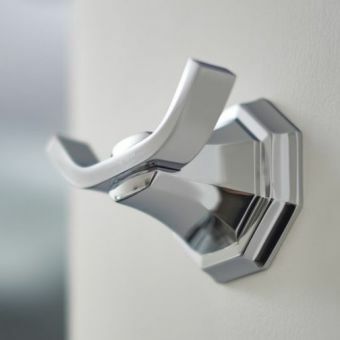 From a collaboration with Stirling Prize winning Architect Zaha Hadid that used Triflow technology to create something truly incredible, to a trusted partnership with Thomas Crapper & Company that saw Perrin & Rowe create a bespoke range sanitary and brassware products. Perrin and Rowe's experience in designing amazing bathroom furniture stretches back over several years. 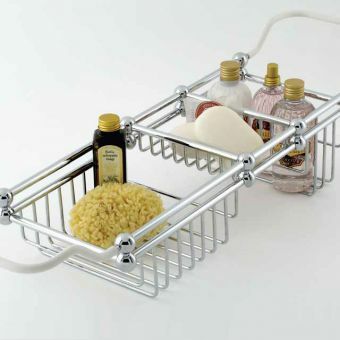 That means they know just what you need to give your bathroom that step up into a world of luxury and indulgence. Find out more about their products and ranges below. Bathrooms are perfect places to cement a home's reputation as a place of historic charm and ageless class, and that's because there's a wealth of traditional style options available. 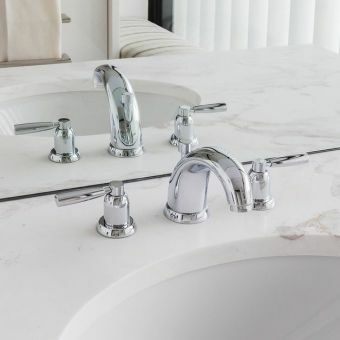 At Perrin and Rowe, items from the traditional range appear in some of the world's most prestigious resorts and residences - so you know that when you buy traditional bathroom items from them, you'll be investing in fixtures and fittings known the world over for combining traditional beauty with high-quality craftsmanship. One of the real hallmarks of the items in the traditional range is the attention to detail they reveal and the intricacies they possess. Created with the same sense of purpose and style that historic interior designers to the rich and powerful had in mind, it's clear just from using or looking at the taps, shower fittings and more in the traditional range that there is something both beautiful and timeless about the elegance of the fixtures on offer in the luxurious Perrin and Rowe bathroom collection. Straddling the gap between traditional bathroom designs and more contemporary offerings, the Deco range at Perrin and Rowe provides a great way to add a touch of class while retaining the best of both worlds. Harking back to the early twentieth century, items from this school of design never go out of fashion. The Deco range at Perrin and Rowe features a lot of elements like large proportions and distinctive feature shapes, so if you opt for Deco products then your bathroom certainly will be a talking point. But all of this focus on appearance should not obscure consideration of the other strong design features and engineering advantages that the Deco range possesses. 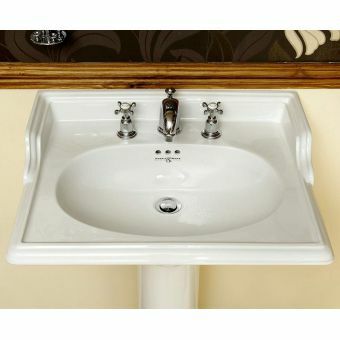 Their Deco chinaware comes with bespoke plumbing choices such as a range of one, two or three-hole sink basins. The contemporary range bathroom at Perrin and Rowe is perfect for those who want the latest in fashionable and chic interior design combined with amazing crafting and top quality components. 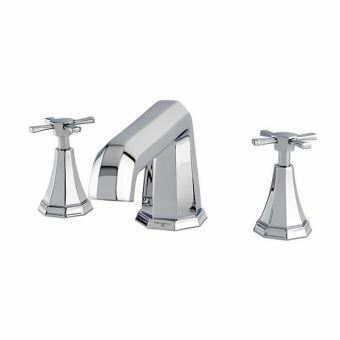 Take the contemporary basin or bidet taps. Uniquely designed crosshead handles made from shiny, eye-catching metal give these items the sort of look that you'd expect from a high-end contemporary hotel or a beautiful, classy restaurant. But with Perrin and Rowe as your supplier, you too can benefit from this sort of elegant and sophisticated design and enjoy it in your very own bathroom at home. 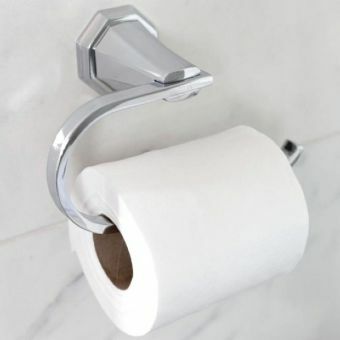 Over the course of Perrin and Rowe's many years in business, the designers there have clearly learnt that it's vital to ensure that bathroom fixtures and fittings complement one another well in order to give a bathroom the sort of style coherence and design authority that any selective householder should aspire to. This is especially true for the pairs of taps you opt for. 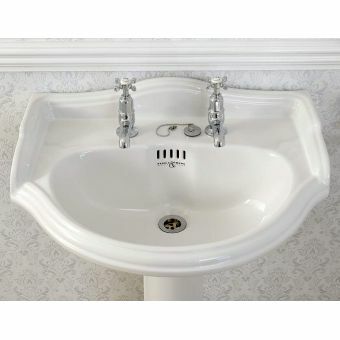 Combining an Edwardian tap with a contemporary sink, for example, may create a disjointed appearance. 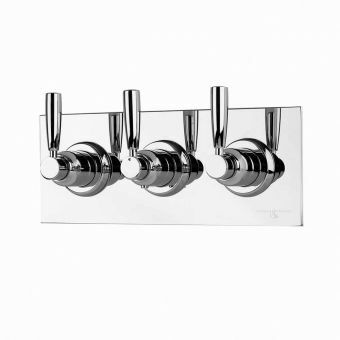 But by installing a pair of innovative and well-designed wall mounted taps above your vanity bowl, your bathroom will enjoy a beautiful and well-fitting design. There are plenty of choices when it comes to choosing taps to install in your home, and at Perrin and Rowe the team can guide you towards making the right decision based on the design, size and fittings of your bathroom. 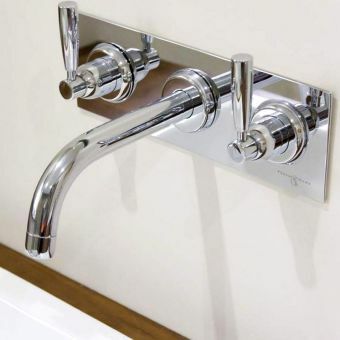 Perrin and Rowe's traditional metal bath taps come with a variety of excellent features designed to extend their life and give you unrivalled ease of use. With a one-quarter turn ceramic disc flow control, for example, you and your guests will be able to control the amount of water you need and the intensity of the stream for that perfect relaxing bath. 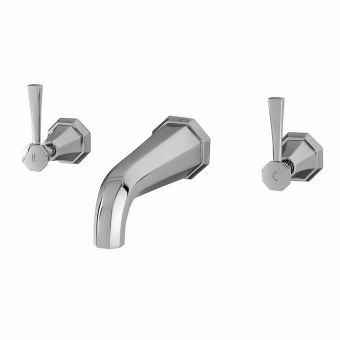 And with a vernier insert coming with many of the range's traditional bathroom taps and shower mixers, the handles of your taps can remain perfectly aligned. And for some designs, too, judiciously-selected text can add a real touch of historical excitement to your bathroom decor. 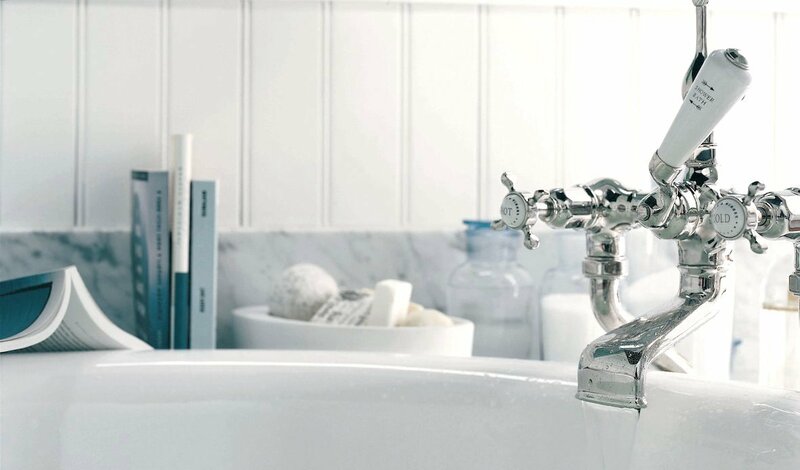 Traditional bath taps made with large amounts of white ceramic, for example, can benefit from the engraving of written temperature indicators or the location of the manufacturer to entrench that historic look for your bath. There are lots of different styles and types of shower available on the market today, and that means you'll be able to choose fixtures and fittings which suit your needs right down to the ground. Perhaps, for example, you're searching for a modern waterfall-style shower which offers a full body jet experience to wake you up in the morning, or maybe you'd prefer a less powerful stream which gently relaxes you before you go to bed. Either way, the advantage of shopping for shower components and fixtures at Perrin and Rowe is that you can opt for the shower of your dreams rather than settling for second best. 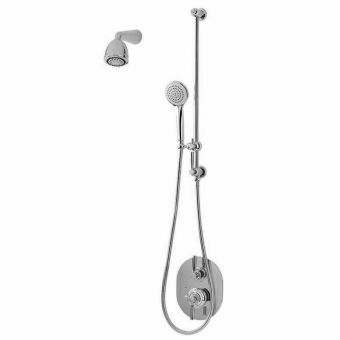 The contemporary range boasts all of the components you need to give yourself a truly luxurious shower experience, ranging from a multi-functioning brass shower head to a group of body spray jets for that real touch of shower opulence. Or if you'd prefer something a little more historic for your shower, why not opt for some of the many shower fittings in the Deco range? From taps with angular and pointy designs to angled shower heads which are sure to give your bathroom a classy image, there's plenty to choose from in this range. 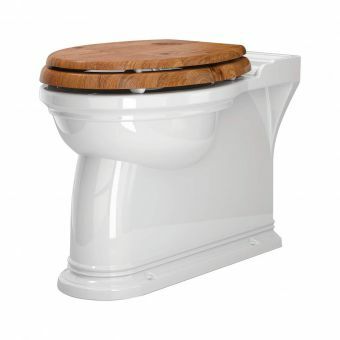 Perrin & Rowe pottery, featuring the brand logo below the overflow holes, choose from both Perrin & Rowe Toilets and matching: Perrin and Rowe Bathroom Basins. Nothing gives away more about a bathroom's inherent style than the chinaware used. That's why the designers at Perrin and Rowe have developed lots of different design options for major fittings such as sinks, and they're all available for you to choose from. 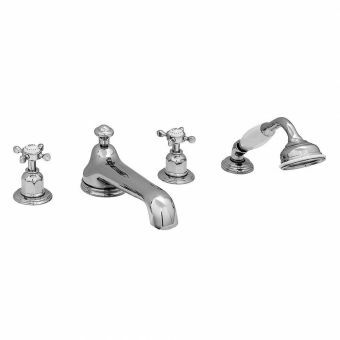 Those who are sticking to traditional furnishings for their bathrooms will find the Edwardian range very appealing. Freestanding basins and powder room-style sinks are available in this range, and the classic mixture of golden metal and bright white ceramic for the long, protruding taps will give your retro bathroom a great look. 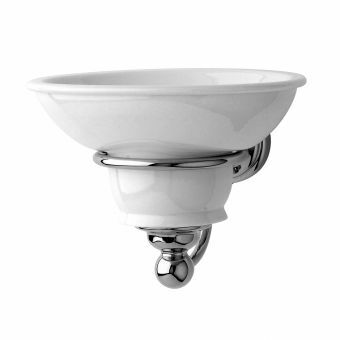 For a more contemporary chinaware option, why not consider installing a vanity bowl? Popular in avant-garde, modern locations, these large sinks are also ideal for guest bathrooms and other smaller locations. Available both in a mounted design which rises upwards from your surface for a striking arrangement or in a more understated, sunken design, you can get a touch of class while also customising your bowl to your bathroom's appearance and size needs. Vanity bowls can also come with or without overflows, too, so you can enjoy the benefits of a fixture like this no matter what your bathroom's plumbing situation is like. Accessorising is a major trend when it comes to modern interior design, and the bathroom is no exception. Function and beauty don't have to be mutually exclusive, though, and at Perrin and Rowe the bathroom accessories on offer are all useful as well as gorgeous. 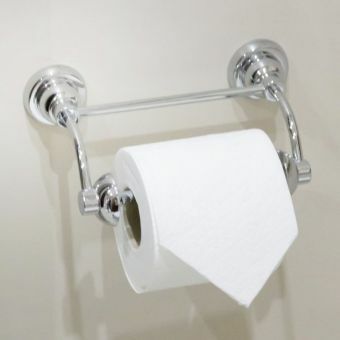 Take the deco toilet roll holders and towel rings. Plated to a level of thickness that goes far beyond the national standards for the industry, the refined design of these accessories make them the perfect way to add a complimentary finishing touch while also making sure you and your guests have what you need to hand. What's more, they are made with low lead brass to prevent any concerns about safety or health. Or for a more retro look, the curved and ornate designs of the traditional wall mounted shaving mirrors and towel rails are ideal for creating the sense that your household is refined and ordered. 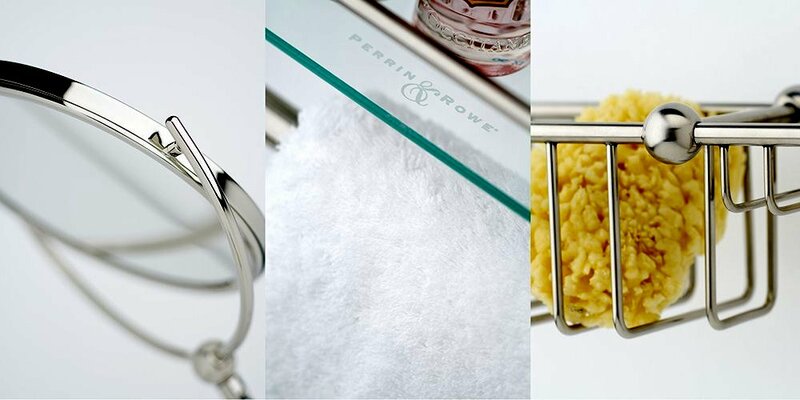 Whatever your preferred design, Perrin and Rowe will have an accessories option for you. At Perrin and Rowe, the team are committed to helping homeowners design the bathroom of their dreams and enjoy all of the luxuries that this integral room of the home can offer. Whether you're searching for traditional fittings or modern fixtures or you're hunting for a particular luxury item or accessory to round off your bathroom's appearance, Perrin and Rowe be able to help you locate what you need.